There are very few things I enjoy more than bringing home a new blanket and burrowing deep into its soft, fluffy folds. The Big One throws from Kohls are my particular weakness — oversized, incredibly soft, and occasionally on sale for $10. I can’t get enough of them. They’re scattered around the house. I rarely sit down even in the summer without draping one over my legs. I sleep with one inside my sheets so I can feel the soft plushness against my skin. 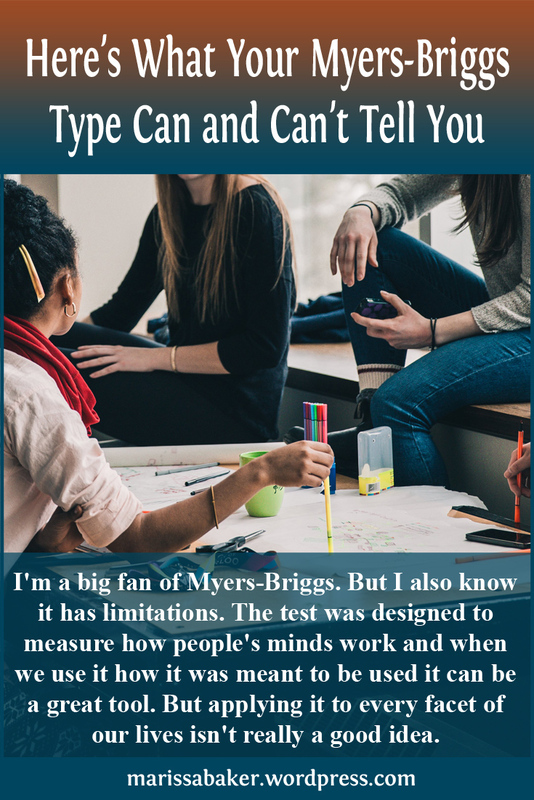 If you’re familiar with Myers-Briggs personality types and what I just shared about fluffy blankets was all you had to go from in typing me, you’d probably say I was a Sensing type. After all, S-types are the ones that pay attention to and enjoy sensory details. Intuitive are too head-in-the-clouds to care about things like this (if you want to be hard on them) or they have “better things to think about” (if you’re more of an intuition snob). But I’m an INFJ, which means Extroverted Sensing is the mental function I’m least comfortable with. So why am I obsessed with texture? Because it’s not just fluffy blankets. If you walk through a store with me you’ll see I touch clothing, purses, blankets, etc. as I walk by. I once bought a purse just because the leather felt soft as butter (that description doesn’t make much sense, but it’s what popped into my head at the time). The thing is, our inferior functions aren’t just hiding somewhere waiting to show up and wreck your life when you get stressed. That’s why I like Personality Hacker’s car model,* which describes your fourth-favorite mental process as a 3-year-old. When things are going wrong the screaming 3-year-old is going to consume all your time. This is more scientifically called being “in the grip” of your inferior process. But when you’re pretty well balanced it’ll be napping or happily cooing in the backseat (perhaps while stroking a plush throw). You’ll probably never be really comfortable or effective at using your inferior function for day-to-day living. But you can befriend that side of your psyche instead of trying to ignore it or seeing it as an enemy. You can also focus on developing your inferior function, as I suggested in my post “Getting In Touch With Your Sensing Side” for INFJs and INTJ. And you can also enjoy and accept the quirky little ways it’s already showing up in your life. Maybe you’re a dominant intuitive who loves sensory details like fabric texture or subtle spices in food. Maybe you’re a dominant sensor and you enjoy escaping into theoretical worlds through fantasy and sci-fi. Maybe you’re a dominant feeler who’s fascinated by computer programing or logic puzzles. Maybe you’re a dominant thinker and spend your down-time reading touching stories about people’s lives. 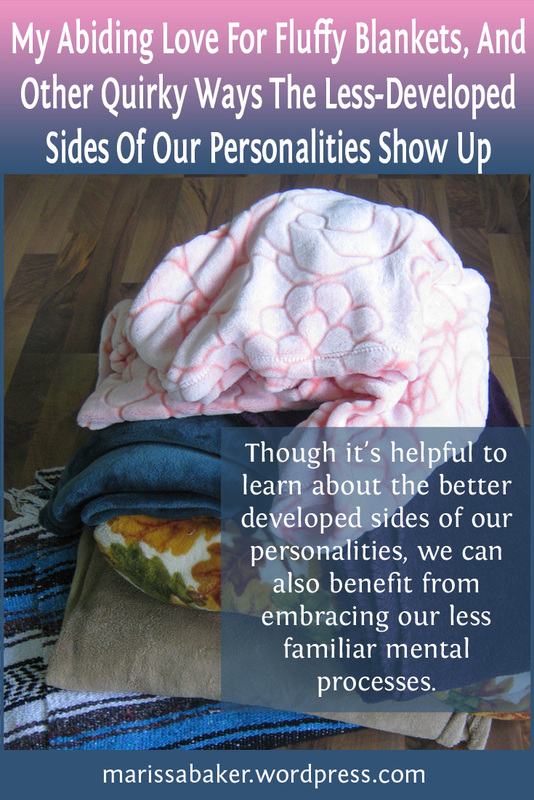 As helpful as it is to learn about the better developed sides of our personalities, it’s not all that useful to identify with them completely. If an INFJ thinks of themselves only as an introverted intuitive who makes decisions based on their feelings, they’ll be ignoring key aspects of their personalities. And when we do that, we not only cheat ourselves of growth potential but also start drawing more rigid “us versus them” lines in our minds. 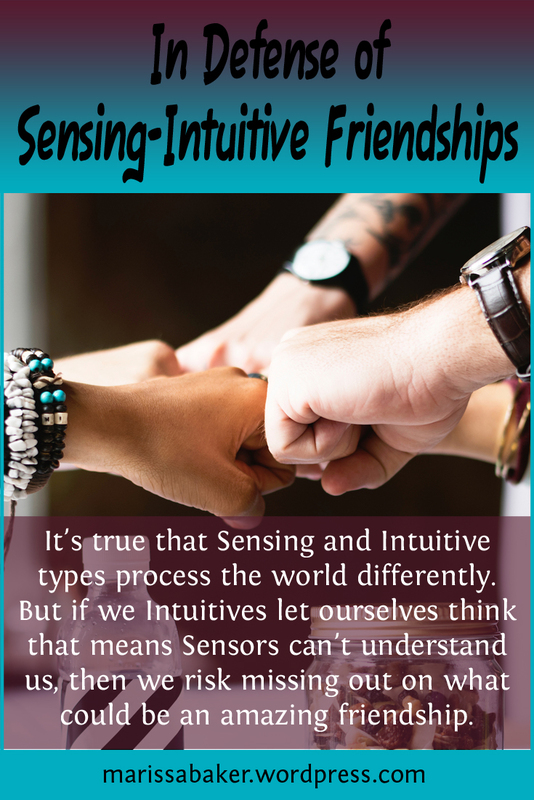 I mean that in the sense of ideas like, “I’m an intuitive, so I can’t communicated with sensors.” But if we can recognize that our personalities are deeply nuanced, we’ll also realize we have more in common with “other people” than we might have thought at first. 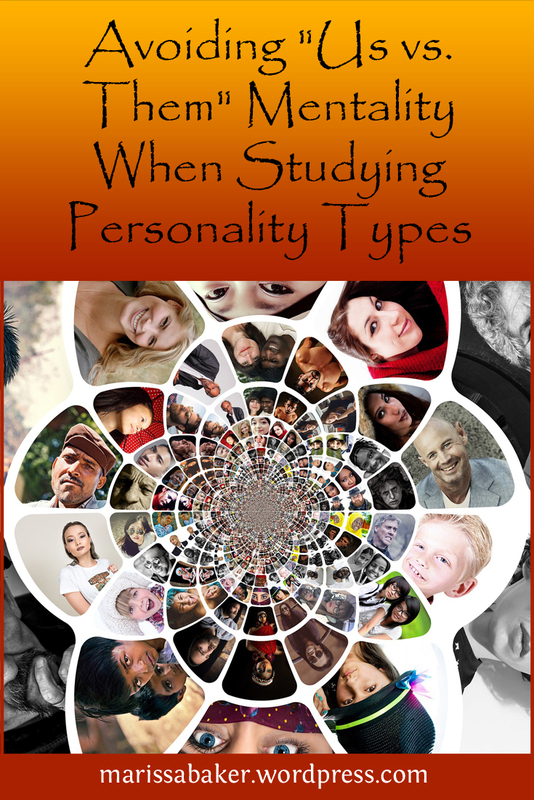 Personality types aren’t meant to make you think of yourself as better than everyone else. They’re meant to help you recognize your unique gifts and also appreciate the gifts of other people (hence the title of Isabel Myers’ book, Gifts Differing). And once they help you discover the ways you’re different the typology framework can also help you discover ways you’re similar to other people. Even a type that you share no letters with and seems your complete opposite (INFJ and ESTP, for example) shares the same mental processes as you, just in a different order. 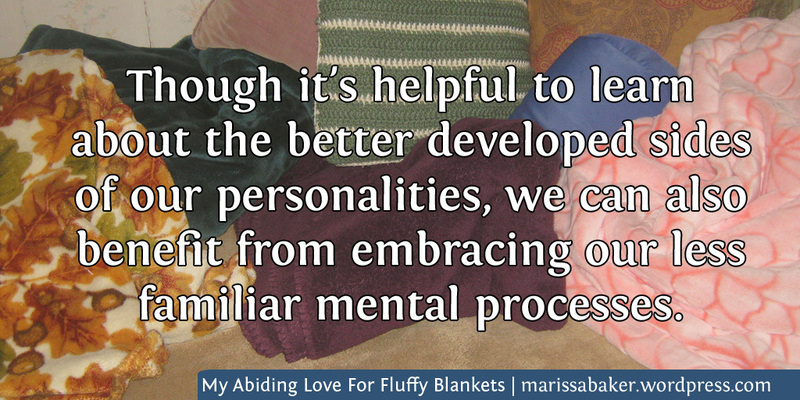 Do any of you see your inferior function showing up in your habits, quirks, and preferences? What sort of things do you do and enjoy that aren’t “typical” for your personality type?